Featuring psychologists with offices in Gainesville and Ocala. Each clinical or counseling psychologist has unique skills and together we serve children, adolescents and adults. Jennifer Evans, Psy.D., licensed psychologist. Specializing in adult and late adolescent psychotherapy. 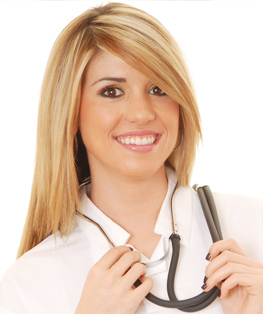 Is your provider really a Florida Licensed Psychologist or Psychology Resident? CPANCF is proud to announce it was again awarded the contract for City of Gainesville EAP services for 2009 and beyond. CPANCF was awared a 2004 Saphire Award from the City of Gainesville during the Small Business Development Week for delivery of its Employee Assistance Program. We are very proud to have our contract renewed and look forward to serving the employees and supervisors of the various city departments. They all deserve many praises for keeping our great city running, safe and beautiful. CPANCF is proud to have been a Bronze sponsor of the North Central Florida Alzheimer's Association Memory Walk each year from 2001 - 2004. CPANCF has been a Bronze sponsor of the Florida Sheriffs Association since 2002. CAPNCF was proud to provide a care package to our troops overseas. Thanks also to Pickett Weaponry for organizing the care package program. Visit our greatly expanded CPANCF.COM website for educational articles, community resources, books and readings. Look for articles on dealing with cancer, and on postpartum depression. Dr. Bordini added articles on effects of parental alcoholism on children and on coping with the economic downturn. Your comments are welcome. Dr. Bordini and his co-authors have published a review concerning issues in the assessment of malingering versus brain injury which appeared in the journal Neurorehabilitation. This is now available for download Brain Injury vs. Malingering. Dr. Bordini has also co-authored articles in the areas of alcohol research, neuropsychological assessment of formaldehyde exposure, use of the Mini-Mental Status Examination (MMSE) in dementia and pharmacological treatments in brain injury. See the Forensicneuropsychology.com website for the specific references. Dr. Bordini has presented professional and community talks on the topics of Suicide Risk management, ADHD, Private Practice, Managed Care, Psychology Supervision, and has contributed articles to Gainesville Parents Magazine on preventing childhood head injuries. Professional talks have involved firearm safety, practice security, and speaking to the Shands at UF Clinical and Health Psychology interns about private practice. Dr. Bordini served in past roles as Florida Psychological Association FPA Insurance and Practice Chair, Insurance Co-Chair, Chapter Representative, and as the first President of the FPA Neuropsychology Interest Division. The Florida Psychological Association North Central Florida Chapter awarded Dr. Bordini with a Distinguished Service Award in December 2003 "In Recognition of His Work and Contributions to Psychology"
Dr. Bordini has presented lectures to the University of Florida Forensic Psychiatry Division Fellows. Visit CPANCF.COM for more information about upcoming talks. C. Russell Clifton, Ph.D., maintains an independent practices at the offices of Clinical Psychology Associates of North Central Florida. He also currently contracts with CPANCF to provide services to City of Gainesville employees through the City of Gainesville Employee Assistance Program. Dr. Clifton received his doctoral training at the University of Florida. GO GATORS! Yes, we do perform forensic neuropsychological evaluations. After many years of being providers for BCBS of Florida, BCBS unilaterally terminated all mental health contracts effective Dec. 1. 2011. Our office and others have not found their "carve-out" New Direction contract to be acceptable. As a result, we will require payment at time of service and will provide you with information to bill BCBS for out-of-network services. 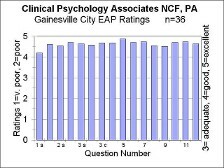 Click on the CPANCF.COM link to the left to visit or return to the official Clinical Psychology Associates of North Central Florida web site. We are proud of our City of Gainesville Employee Assistance Program ratings.